Get away from the grind! 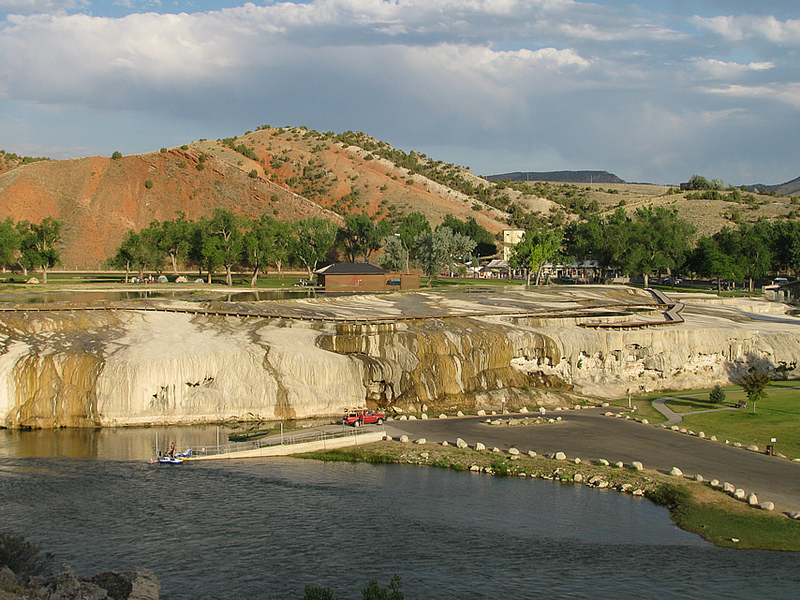 Save on your next vacation to Hot Springs State Park, in beautiful Thermopolis, Wyoming. Take advantage of our special vacation packages. Perfect for a romantic getaway. Make a reservation at the Days Inn Hot Springs Convention Center. Book online or call us: 307-864-3131 or 1-800-225-3297. Discount Rates Available for AAA, AARP, Government. Enjoy Hot Springs State Park with fun outdoor activities. Relax & rejuvenate in the Healing Waters of our natural mineral hot springs, unwind in our steam room & enjoy an on-site massage. Written by One of the friendliest hotels in the West. Feel refreshed and energized when you stay at Days Inn Thermopolis hotel. 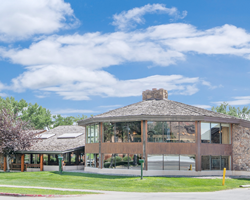 Located off Route 20 in Hot Springs State Park, our hotel near The Wyoming Dinosaur Center puts the World’s Largest Hot Mineral Spring and other popular area attractions within your reach. Experience great value at our Thermopolis hotel. Rest well in one of our spacious and comfortable rooms, equipped with high-speed Internet and get in a great workout with our two floors of exercise equipment. Our hotel also features a racquetball court. Soak in our hot mineral Jacuzzi, fed from the nearby hot springs, unwind in our steam room and enjoy the services of our on-site masseuse. Our seasonal outdoor freshwater pool gives you space to relax out under the sun and in the morning, enjoy free continental breakfast. Kids 17 and under stay free with an adult. 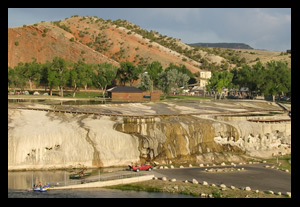 Soak in Thermopolis’ famous mineral hot springs at Hot Springs State Park, uncover history at the Dinosaur Center, explore Wind River Canyon, and see buffalo in their natural habitat. Yellowstone National Park is only 3 hours away! Independently Owned & Operated by Big Springs Spa, Inc.